Home » Blog » Channel Lineup » What Channel is ESPN on Spectrum Charter / TWC? Sports is perhaps the most watched entertainment genre across the globe. And for all the right reasons! Who doesn’t like those action-packed, thrilling Sports sessions! They are full of entertainment, adrenaline, and fun. The interests can vary on an individual basis though. Some people are die-hard fans of Sports. They don’t want to miss even a moment of their favorite sports. While others suffice with recorded versions and highlights too. So, whichever category you belong to, you must be a fan of the ESPN channel. ESPN on Spectrum is one of the most loved and extremely popular sports channels across the globe. ESPN is originally a U.S.-based Sports TV channel. Hearst Communications and The Walt Disney owns it in a joint venture. Bill and Scott Rasmussen launched it in 1979. The primary broadcast center of ESPN is in Bristol, Connecticut. ESPN, in the present day, is one of the most successful and popular sports networks in the world. Still, people criticize it sometimes for accusations related to biased coverage and controversies with analysts and broadcasters, and conflict of interest. However, it remains to win the hearts of sports lovers all over the world and nothing changes that. Just like ESPN, Spectrum is one of the most popular cable TV providers in the United States. If you are a sports geek, you made a right choice by subscribing to Charter Spectrum. The provider is famous for ensuring HD picture quality, uninterrupted broadcast, and covering all major entertainment genres. 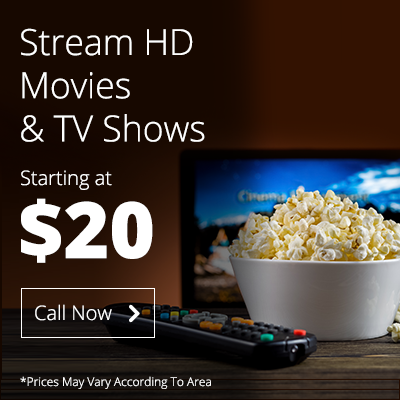 If you are still thinking to subscribe to a cable TV provider, and you want all the sports channels in high definition, Spectrum has it for you. ESPN on Spectrum is aired in almost every state of the continental U.S. Following is the detailed Spectrum Channel Lineup for major ESPN channels. ESPN2 is another sports channel under the ownership of ESPN group. It also covers all the major sports events, airs live sports matches, highlights, and news about sportsmen. ESPN2 on Charter is available in both, normal and HD qualities. Charter broadcasts it in almost every state in the United States. So, whether you are a Rugby lover or a Soccer fan, you have it all to binge-watch to your fill. When you are a sports lover, you don’t just love the action in the matches, you also end up becoming die-hard fans of many sportsmen. You are obsessed with their lives, their likes, their dressing sense, and even relationships. Moreover, the fights during the matches and the rivalry between successful players of various teams are hot happenings to follow. Yes, you are right. We are talking about ‘Sports News’. It has emerged as a separate genre. ESPNews deals with all that we have mentioned and a lot more. ESPN NEWS on Spectrum is aired in both HD and otherwise. Catch all the latest and trending news about your favorite sportsmen. Since ESPN is a large sports network, it owns many different channels now. ESPNU is one of them. The highlights and repeats are broadcasted on all these channels after ESPN airs the live one. You get to catch all that you missed. It goes for Soccer, NBA, NFL, Cricket, and any popular sports, which you like. ESPNU on Charter is available in both, HD and regular quality. Just like other ESPN channels, ESPN Sports also covers American football Soccer, Basketball, Baseball, Ice hockey, Cricket, Golf, Tennis, and others. It airs both, live and recordings. ESPN Sports on Spectrum is aired in almost all states. Having a speedy Spectrum Internet connection is not enough today. You need consistent speeds and reliable tech support. Spectrum Customer Service reps are quite professional and highly skilled. When choosing a package, it is always best to ask them for guidance. They could help you with deciding on the cable TV package that suits your entertainment preferences the best. Channel numbers rely on your area and bundle. These numbers were taken from the official site and keep going looked into on 23rd Jan-2019. Previous PostPrevious What Channel is Starz on Cox? Next PostNext What Channel is CBS on Comcast Xfinity?